Getting a swamp cooler ready for winter is an easy task that most anyone can do. It does sometimes require climbing a ladder and using everyday tools such as pliers and screwdrivers, so if in doubt always hire a professional to do it for you. 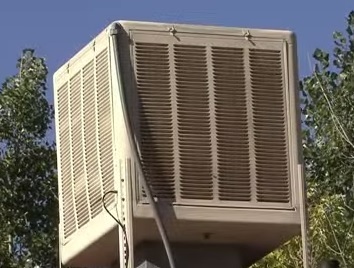 Every swamp cooler will be slightly different depending on the size, manufacture, and the age of the unit. All work on the same principle so the following steps will work with most any unit. Turn the power off at the switch or thermostat. 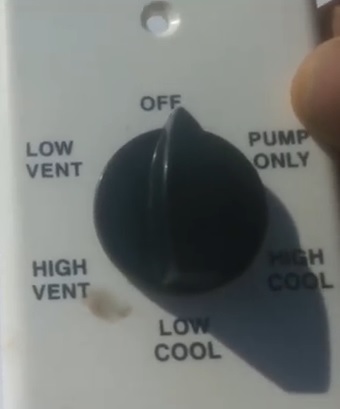 The water to the unit should be turned off. The water line can be followed from the unit to where it is hooked into the water supply. 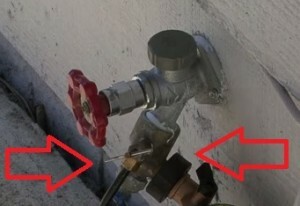 A small valve will feed a water line to a cooler which can be plastic or a copper line. Turning the valve clockwise which will shut the water to the swamp cooler off. The water in the unit will need to be drained. Some people will allow it to evaporate over the course of a few days but this is no guarantee that the water is all gone. It is best to drain the water at the drain plug unless it is very old and brittle. If it is old and brittle than using a water vacuum pump may be a better option. The drain pipe can always be replaced if it is old and brittle from age. There are different sized drains and often a pair of channel lock pliers or standard pliers are used to twist them out. After the cooler is drained of water put the side panel back on. 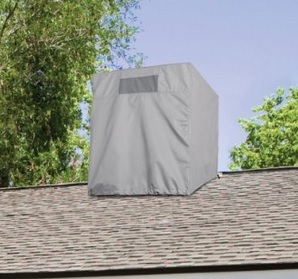 A swamp cooler cover should be placed on the unit to both protect it and help insulate air from moving out of a home during winter. Swamp cooler covers are cheap and can be picked up at a home supply store or online at sites such as Amazon. 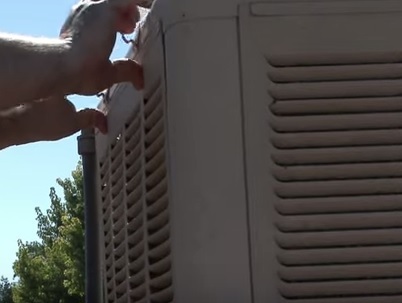 Winterizing a swamp cooler is an easy task depending on the age of the unit. Often on older units the drain plug is rusted in place and difficult to remove. 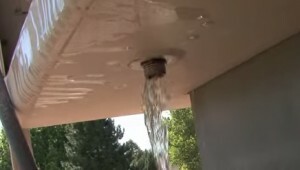 If the drain plug is stuck in place than the main goal is to get all the water out of the unit as to not freeze up and damage it. Often this can be done by leaving it open for a day or two and letting the water evaporate out. Another option is to use a water vacuum and vacuum the water out. Draining the water line is also a good idea as any water freezing in a line could break it. Some technicians will open the water line at the turn-off-valve since water will still be in the line even after the valve has been turned off. One last note is to look at the shape the unit is in to get an idea of what should be done when it is put back into service. 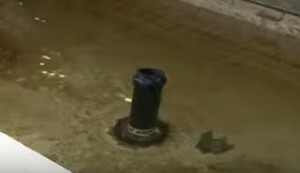 Things such as the debris build up at the bottom of the unit and the shape of the pads. 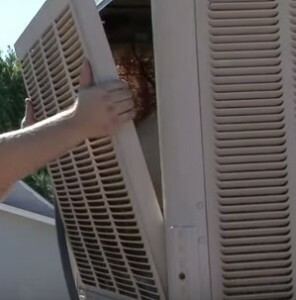 This will help when winter is over and it is time to use the unit again. How do you blow out the copper water line? Mine goes through the attic. It has frozen before, leaked and caused damage to my ceilings. The guy at Home Depot today told me to just blow air into it with my mouth. I hope that works!